Shopping for Cheers Bed and Bath? If everyone doesn't already know your name, they'll sure want to when they see you with this throw blanket! 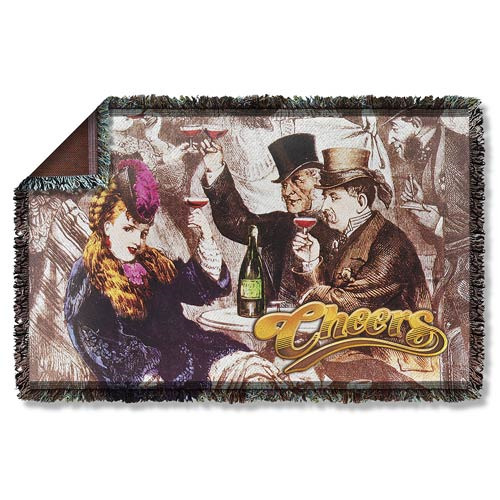 Whether you drape this decorative throw over the back of the couch or use it to cuddle up, fans ofCheers will enjoy this old fashion image from the show's opening credits. This Cheers Old Fashioned Woven Tapestry Blanket measures approximately 58-inches wide x 36-inches tall.